Verax NMS & APM Ceragon (formerly Nera) Evolution management plugin allows easy monitoring, alerting, health check, management and performance reporting of Ceragon Evolution series microwave radio platform equipment. The view provides a list of all network interfaces on the hardware including index, type (e.g. ethernetCSMACD), name (e.g. WAN1, ETH1), physical address, operational and administrative statuses. 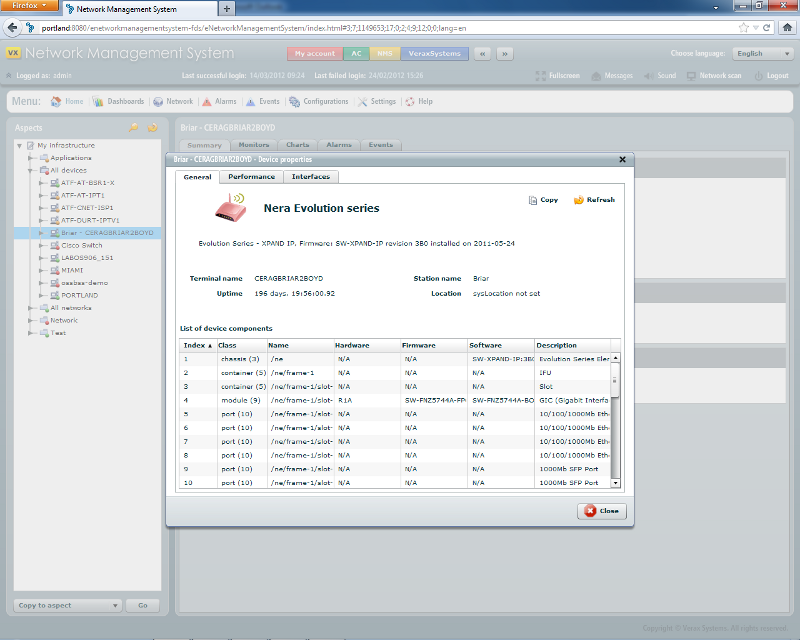 The plugin provides predefined templates for most commonly monitored Nera Evolution items (listed in the table below). Other, user-defined sensors and performance counters can be added.